In short: Nothing. In more details: last month (April) we met a lovely elderly couple from Australia who we’d encountered on our honeymoon in Istanbul in 2011. Quite unusual. 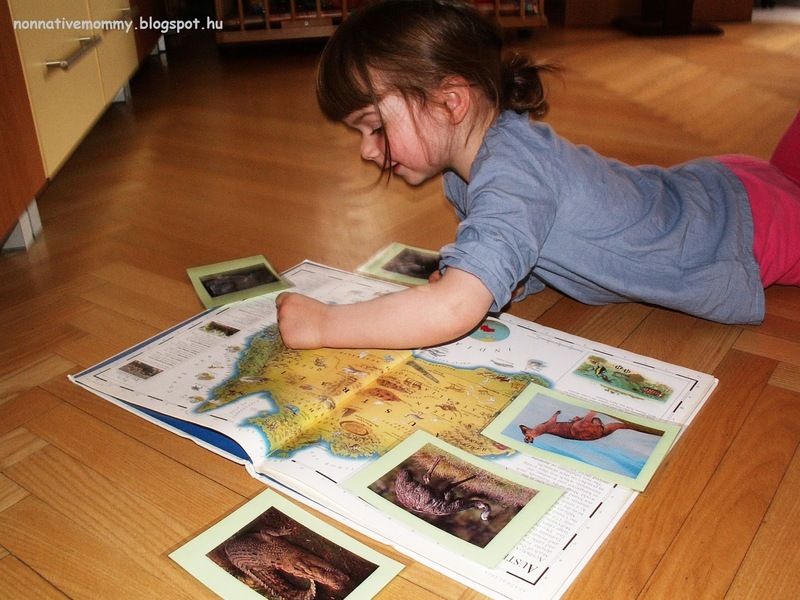 As E. enjoys looking at maps and our big picture atlas I made a map colouring activity for her. 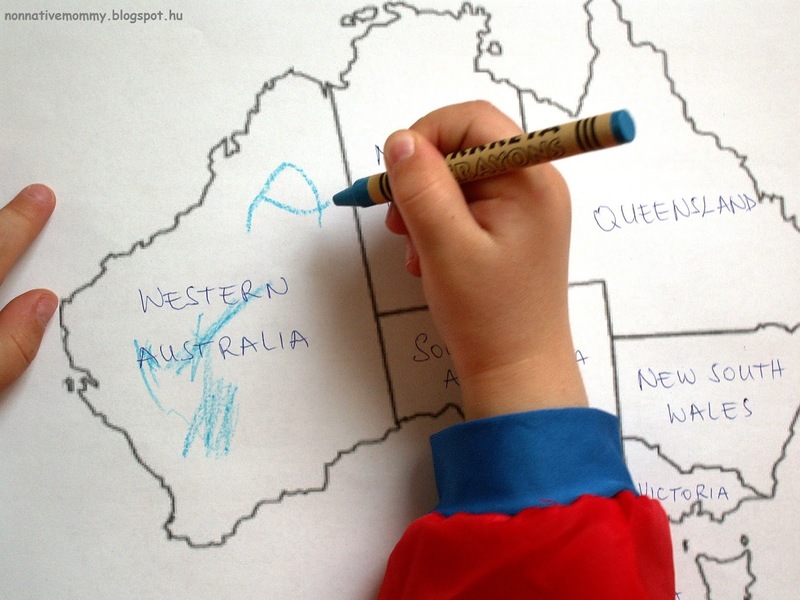 I just printed a blank Australia map with the states drawn on it and after naming each states we coloured them one by one. 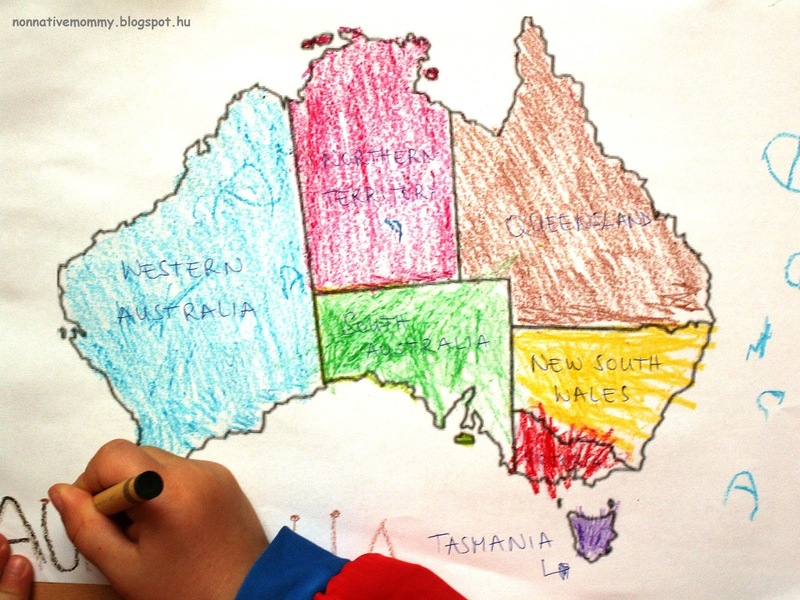 I also wrote AUSTRALIA below the map and E. traced my letters. 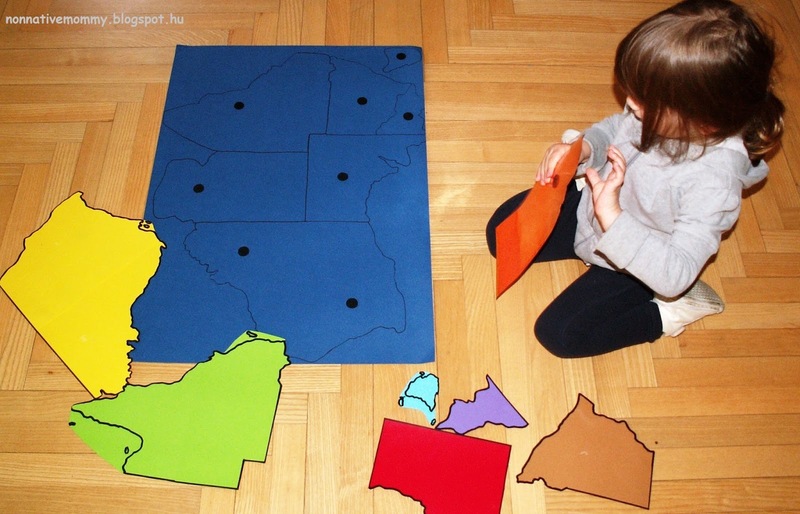 This Australian map puzzle was quite time-consuming to make but the result was beautiful and E. loved it. The link gives you a detailed description how to prepare it. 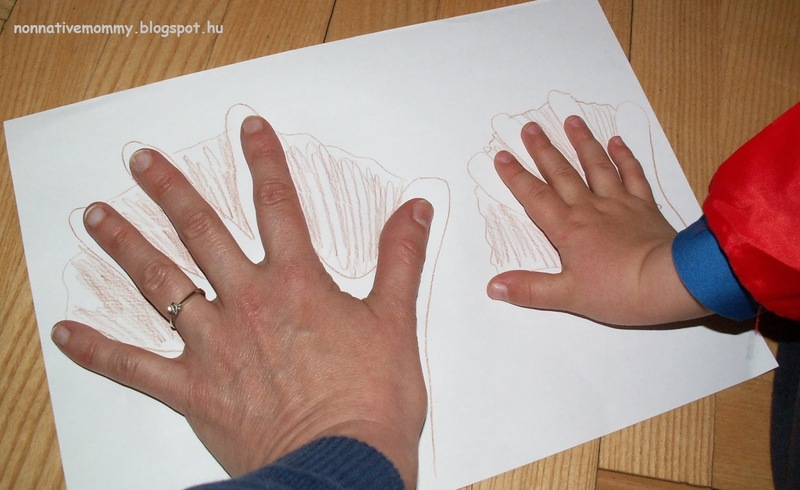 In my version I laminated the pieces. As Queensland and Western Australia consist of 2 parts I sellotaped them together. Then I added sticky back velcro (bought them on sale in Auchan). 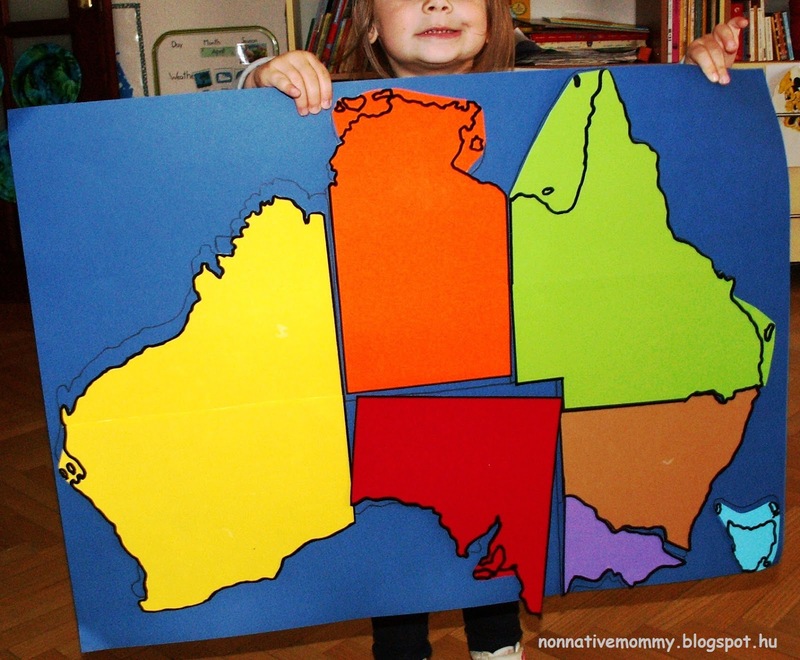 I couldn’t buy a big enough cardboard to fit Tasmania in the right place. What a pity! 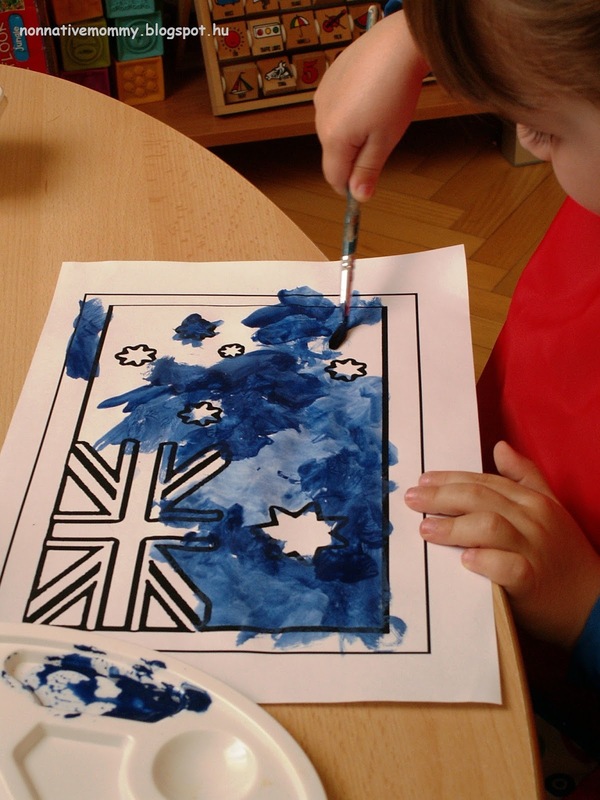 She has done the Australian puzzle map several occasions. Sometimes she even said the names of its states. Of course, we displayed our pieces on our living-room door. You need to imaging the composition as I’ve forgotten to take a photo of it. 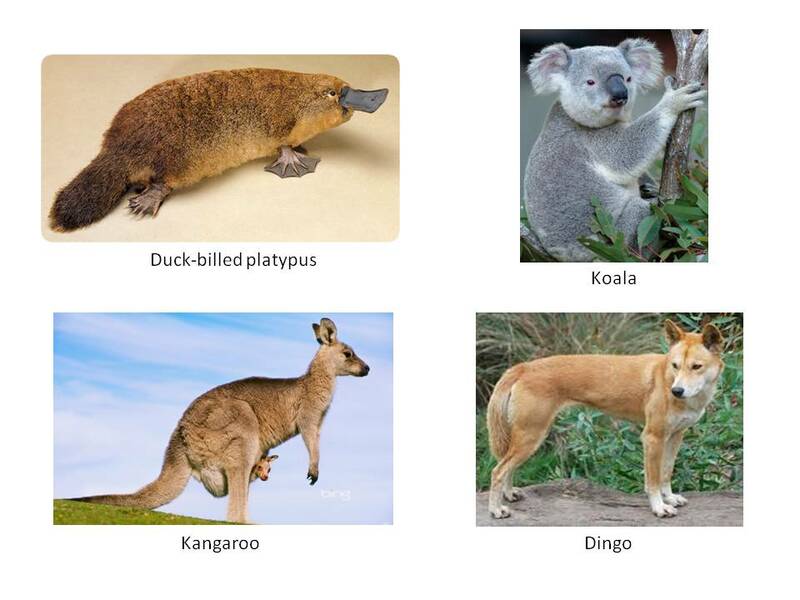 E. has already heard about and seen a kangaroo in the zoo, and also seen pictures of koalas. She knows the (white) wombat from the video titled Red Rabbit, Green Gorilla. 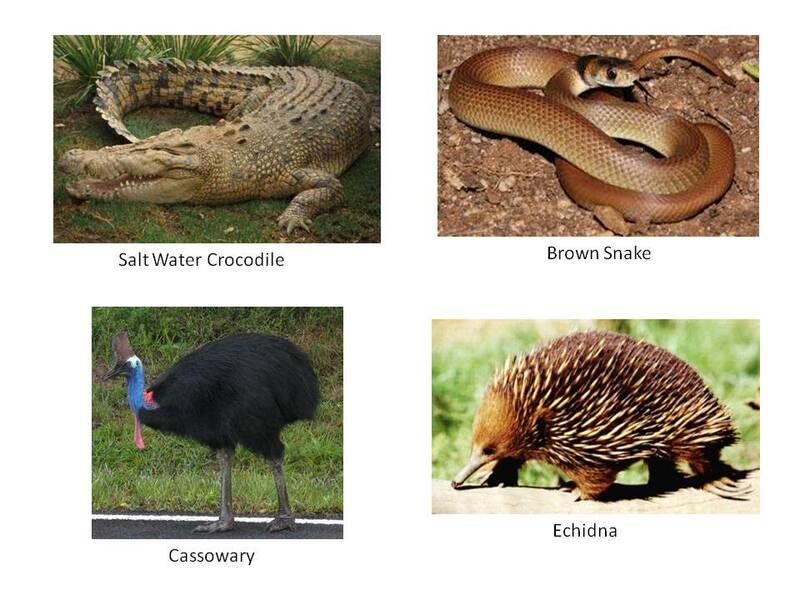 She is also familiar with the look of a crocodile or a snake as well as an ostrich, which can remind you of an emu. So first, I showed her 7 flashcards out of the 12. 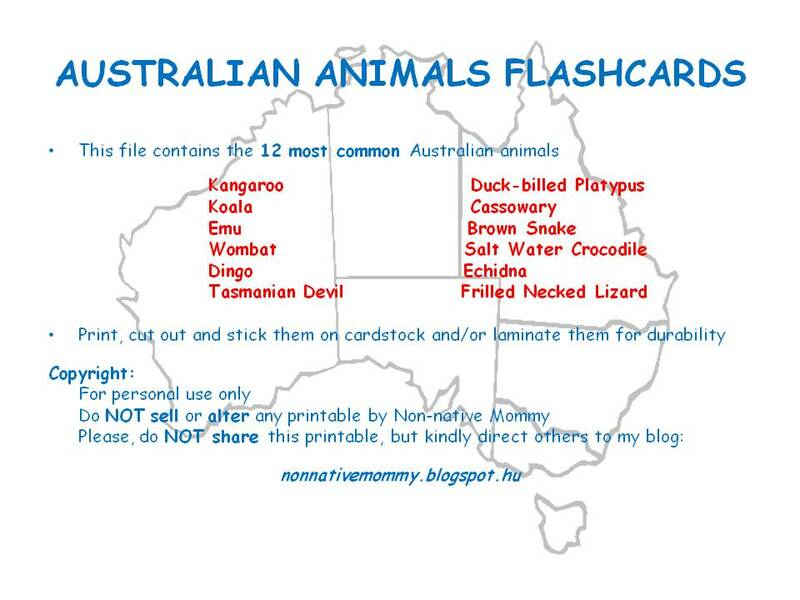 As most of the animals had a familiar look I decided to add some information to the flashcards on their backs. 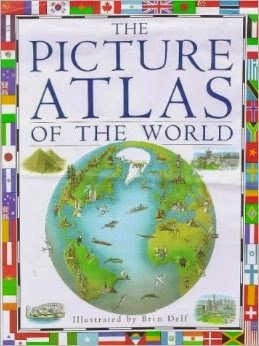 We had a look at Australia in our Picture Atlas Of The World. She was laughing at the platypus and found the Tasmanian Devil cute. 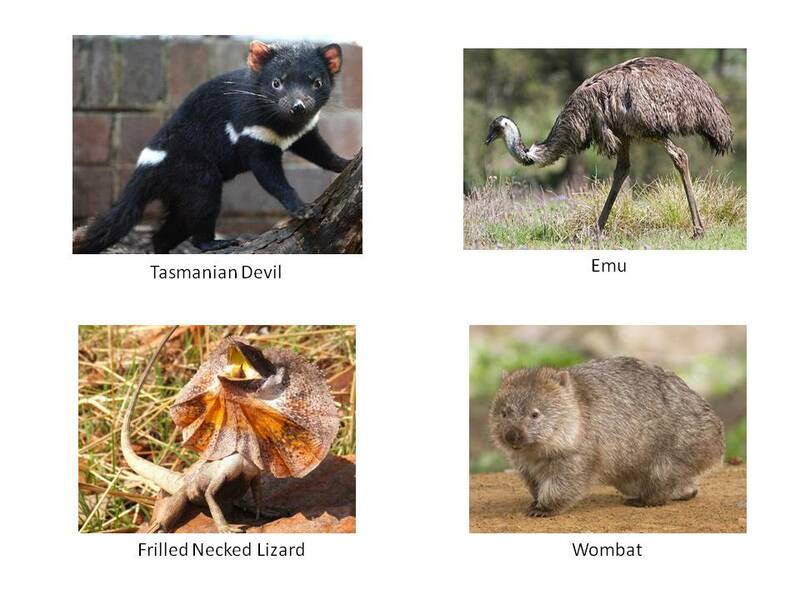 We’ll have a look at the other animals later. E. got some sweet presents (soft toys and books) from M. and B. 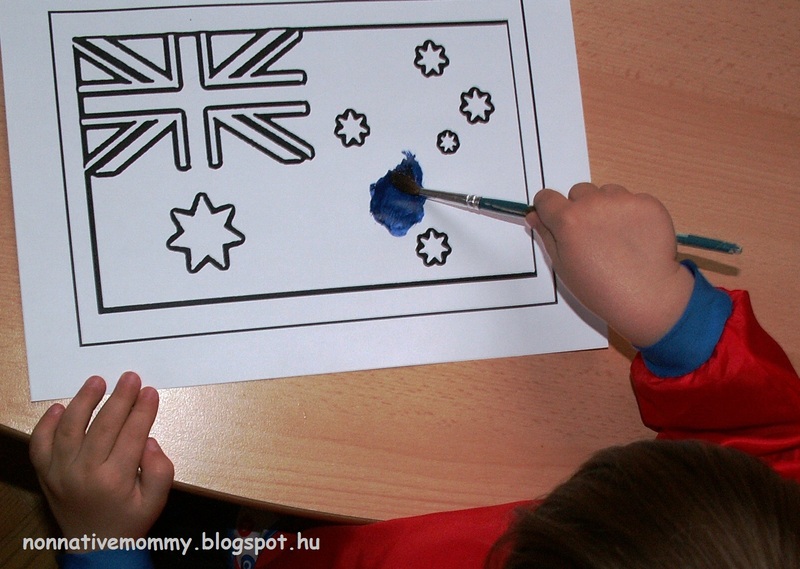 Next What do we have to do with Australia? – Part 2.